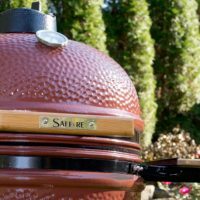 Thanks to Kamado Grill Recipes’ Rachel Benson for providing this amazing blog post! This week I have been adding hot pepper sauce to practically every meal, I just can’t get enough spicy, which is why I decided to try spicy marinated chicken thigh! 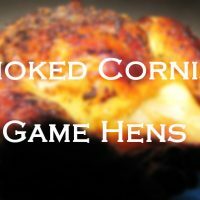 I think that’s what motivated me to revisit my buffalo chicken wings recipe and add a homemade buffalo sauce to the instructions, and what urged me to develop this spicy marinated chicken thighs recipe. Here is a recipe that I developed out of a hankering for spicy chicken. If you are a huge spicy fanatic, you probably will need to look at my notes and tweak the recipe a bit to add more heat. This is a fairly mild spicy chicken marinade in my opinion, and I would say I prefer things slightly spicier than the average person but not too spicy. My 3 year old ate three entire chicken thighs the night I made this, he loved it THAT much. Hopefully you will enjoy this recipe as well! First, measure out your marinade ingredients and whisk them together. Next, put your chicken thighs (bone-in) in a ziplock bag and pour in marinade. Make sure your bag is completely sealed and then toss to coat. Refrigerate and let marinate for 2 hours or up to 3 hours. I bought bone-in chicken thighs “skin up” and removed the skin from the chicken thighs before marinating. This was my first time removing the skin from the chicken thighs and I must admit it was waay easier than I thought. I can’t believe I’ve never done that before, huge grocery store savings are in store for me! Preheat your grill to 450F and put in your heat deflector. Grill for 35-40 minutes on indirect heat or until internal temperature reaches 165F. When I grilled these, I also grilled a delicious assortment of vegetables as an easy side dish. Check out that recipe here. All my grilling I do on my Saffire Grill. 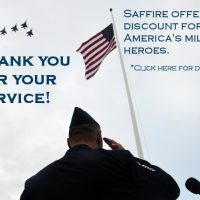 If you are interested in learning more about that kamado grill, check out their website; I highly recommend Saffire! Whisk together marinade ingredients. Transfer marinade to a plastic ziplock bag. Add chicken thighs to bag. Toss to coat. Refrigerate at least 2 hours (or up to 3 hours). Preheat grill to 450F. Grill on indirect heat for 35-40 minutes, or until internal temperature hits 165F. This recipe is mildly spicy. For added heat, increase the amount of sriracha chili sauce to 1/3 cup and add 1 teaspoon red pepper flakes.